A crack in your wall can be disheartening; it can mean something serious or just be a blemish. 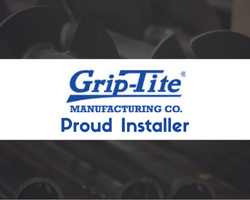 It takes a professional to determine if there is an underlying issue going on, or if the crack has just occurred due to aging or temperature fluctuation. Minor wall cracks are common, especially in new construction as the house settles. When a crack is large, pulling away from a joint, or horizontal, you most likely have a serious issue at hand. 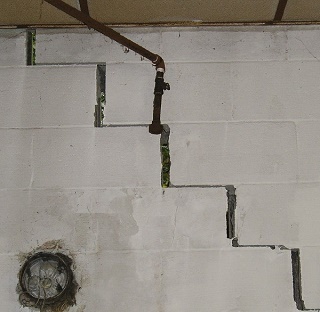 If a crack is vertical and starts where the ceiling and wall are joined, then it most likely is from the foundation naturally settling over time. However, if the crack is horizontal or at a 45-degree angle, there may be a more serious cause. Your foundation may have unnaturally shifted, and you may have water damage. 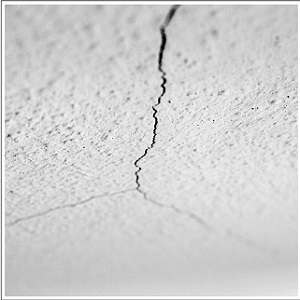 If you notice any cracks throughout your home, be sure to call a professional from Southeastern Home Solutions. We can inspect the situation and develop a plan to fix it. You may find cracks zigzagging across your wall, following the lines between bricks or cinder blocks. This is usually caused by the ground settling under the center of the wall. An engineer can perform tests on the soil and surrounding area to best determine the solution needed for the particular situation. If you have a sticky window or door, that is a sign of serious foundation damage. Look around the door or window and see if there are jagged horizontal cracks around it or if there is a gap between the door and frame. If you find these indicators, you should get a hold of our team of professionals as soon as possible. Another thing to look for are nail or screw heads sticking out of the wall. If the nail or screw has pulled away from the stud, it can be a sign of significant movement and needs to be addressed quickly before more damage occurs. Even a hairline crack can allow water and pests to enter your home. No matter the size of the crack, repair is necessary to prevent further issues from occurring. Call the experts at Southeastern Home Solutions today and schedule a free home inspection. Our courteous and knowledgeable professionals will take a look at your property and give you an honest estimate of what needs to be done. Don't let a small crack become a big problem. Contact Southeastern Home Services today for your wall crack repairs in Huntsville, Chattanooga, Birmingham, and the surrounding area..